Burlington sculptor Jake Rifken says his latest project was about "object impermanence," but having his work-in-progress stolen was not what he had in mind. 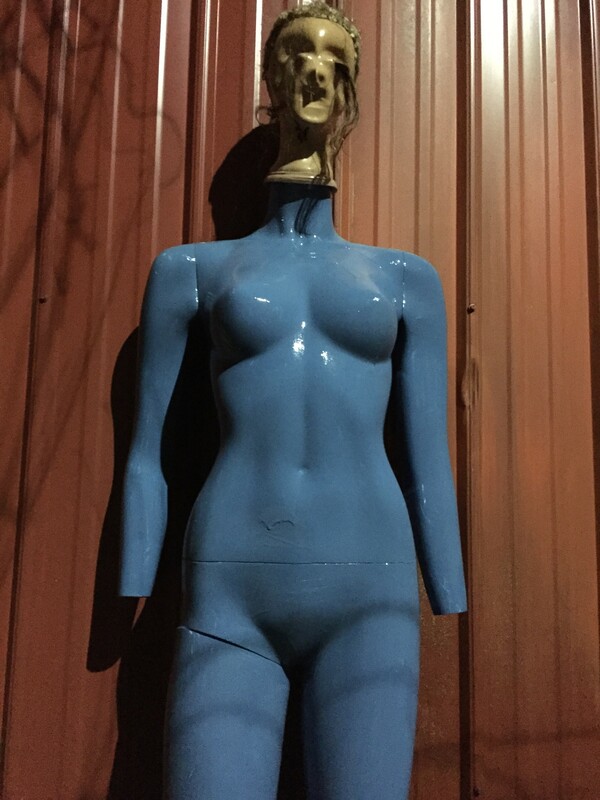 Rifken had placed a female-body mannequin — with an unmatching head and impossibly perky breasts — outdoors behind S.P.A.C.E. Gallery, where he maintains a studio, in the Soda Plant on Pine Street. It was not visible from the street, he says. Why did he put it there? You might call it an environmental-art experiment, but not exactly along the lines of Andy Goldsworthy. Rifken explains that when it rains, or ice melts, the water drips off the roof right in the spot where he placed the mannequin. He wanted to see what it would look like as it gradually became encrusted with ice. The photo at right shows one rather spectacular iteration. 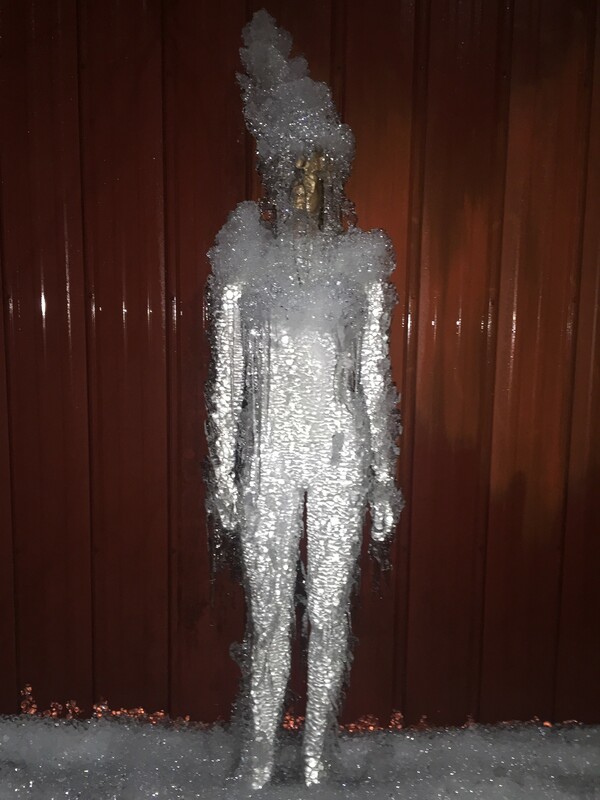 With the fluctuating temperatures this winter has brought, however, the mannequin's coat of ice has come and gone several times since about December 10, Rifken says. And then, between last Thursday night and Friday, when he went to check on her, the mannequin was gone, too. Rifken charitably suggests someone might have thought it was trash and free for the taking, but he notes it's not the first time his mannequin has met with misfortune. Two weeks ago, he found her lying on her side and ripped apart, and the vandals had stolen her hands. While the incident has subsequently been pinned on a local youth, Rifken still has not been able to retrieve the poor mannequin's appendages. So he painted her blue, set her under the drip and started his icing project anew. Until it came to a halt last Friday. Rifken says he might have a lead on a new mannequin, but he'd still like his blue, handless, strange-headed one back. No one likes to be ripped off. And she was no ordinary dummy; she was art in the making. If you've got any leads on this mystery, contact Jake Rifken at jakerifken@gmail.com.